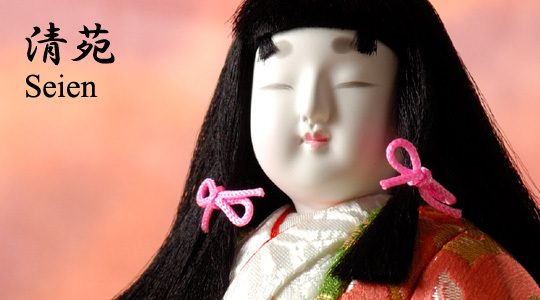 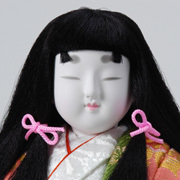 The Seien doll represents a princess of the Heian Imperial court. 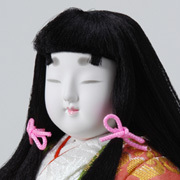 It is based on an assumption that she strolls through the garden of the court. 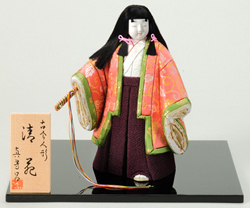 This is the most representative Mataro doll. 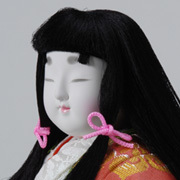 Her kimono's delicate overlapping shades of light green and pink give a soft and silky impression.